Opening with LANCE DREHER – guest posing at the 1984 South Australian Bodybuilding Championship.He is ripped to shreds and in the greatest shape of his life. Intense muscular posing by Russell Kite, Don Knipp, John Ramirez, Bill Howard, Kevin Lawrence, George Young, and others. This is rare footage of Bill Howard, a Muscle Beach legend. We also present guest poser BRIAN BUCHANAN of England and much more. From our library of Classic unreleased muscle videos, we present some of the choice posing footage that you have been asking for. Available now on DVD and Download. The video opens with LANCE DREHER guest posing at the 1984 South Australian Bodybuilding Championship. He is ripped to shreds and in the greatest shape of his life. You’ll see Lance called back to the posing platform twice by the screaming audience. Then there are a few words from Lance as he talks about his life and work for the mentally handicapped. 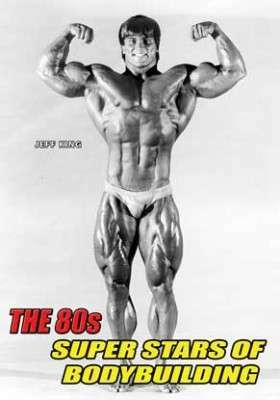 We cut to the 1984 Expo 5 Bodybuilding Championships in California, and the men’s competition. Intense muscular posing by Russell Kite, Don Knipp, John Ramirez, Bill Howard, Kevin Lawrence, George Young, and others. This is rare footage of Bill Howard, a Muscle Beach legend. Back to South Australia for the 1985 Adelaide Championships where we present guest poser BRIAN BUCHANAN from UK – 1984 Amateur Mr. Universe, 1995 Pro Mr. Universe and Pro World BB Champion. He is the modern-day Sergio, with an amazing shoulder to waist taper, huge 22″ arms and a massive muscular physique that won’t stop! The hottest new champion from Europe from the mid 80s. Brian is then interviewed on stage by Wayne Gallasch, the producer of Gallasch Muscle Videos. Next we showcase, another guest poser, Australia’s leading female bodybuilder Miss ROBIN RATCLIFFE, back home after competing with great success in Europe. This is a truly graceful and appealing posing display of an exceptional looking young lady. Robin is then interviewed on stage by Wayne. JEFF KING (1983 Mr. Universe) at a hard 250 pounds of humungous muscle, is spotlighted once again at his South Australia seminar and posing. Our two cameras caught this awesome Mr. America and Mr. Universe in all his glory, posing his mind-boggling physique. More super scenes from the Expo 5 Extravaganza unfold. All new footage, not included in any other release – to blow your mind. Extreme closeups of JOHN BROWN – recently voted world’s greatest male poser. You won’t believe your eyes as John presents a superb muscle display, then he puts on a very professional “breakin” routine to the music of Michael Jackson. It was half dance and half muscular posing. The audience went wild. You’ll love it. Following this is the exceptional posing of 1983 Miss Olympia CARLA DUNLAP, the awesome muscle crunches of MIKE SABLE (unbelievable muscularity from the Ripper Zipper) and the really electric posing of MARY ROBERTS.